The Institute of the Estonian Language is a research and development institution under the Ministry of Education and Research and the designated national language description institution for the Estonian language. 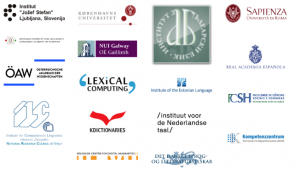 The Institute does not only contribute to ELEXIS EU with its lexicographic data and expertise, it performs various public functions and fulfills major national tasks: compilation and upgrading dictionaries and databases is essential for the country and national culture, as well as free public linguistic advice, language care and language planning, coordination of all-Estonian terminology work, incl. compilation of multilingual termbases, services for people with special needs (speech technology, sign language dictionary), online services for language learners, development of speech synthesis for Estonian, and the collection and development of language archives. EKI provides a wide range of infrastructures, including lexical resources, speech databases, speech processing tools, text corpora and text processing tools: It possesses the world’s biggest Archive of Estonian dialects and Finno-Ugric languages, as a member of the Centre of Estonian Language Resources (CELR) it performs as an organisational framework for coordinating and implementing the policies of Estonia as a member of CLARIN; as a member of META-NET, it is dedicated to fostering the technological foundations of a multilingual European information society. Jelena Kallas (PhD) is a computational lexicographer at the Institute of the Estonian Language. She has been involved in different lexicographical projects, including monolingual and bilingual print and online dictionaries. Her research interests include corpus lexicography, automated lexicography, scholarly lexicography, dictionary use and innovative ways for presenting lexicographic data. She has been a member of EURALEX Executive Board since 2014, she is a member of organizing and scientific committee of eLex conferences since 2013 and a member of a management committee of ISCH COST Action IS1305 European Network of e-Lexicography (ENeL). Margit Langemets (PhD) is a senior lexicographer and the chief editor of dictionaries at the Institute of the Estonian Language. Her research interests include e-lexicography, corpus linguistics and lexical semantics. She has been involved in several bilingual and monolingual dictionary projects, as well as in the development of in-house DWS system EELex, and as an expert in developing the new DWS EKILEX (since 2017). Kristina Koppel (MA) is a lexicographer and junior researcher at the Institute of the Estonian Language and a PhD student at the University of Tartu. Her research interests are mainly devoted to e-lexicography, namely automatic extraction of lexicographic data from large text corpora. Her thesis is about parameters of example sentences for Estonian learners’ dictionaries. For the past nine years she has been involved in three dictionary projects: Estonian Word Families (2012), Basic Estonian Dictionary (2014), Estonian Collocations Dictionary (2018).